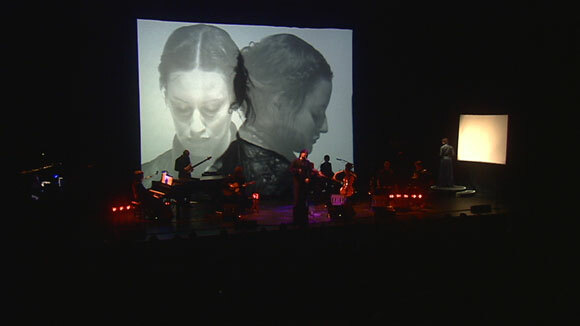 US PREMIERE – The indelible music of Antony and the Johnsons has won the admiration of Lou Reed, Rufus Wainwright, and others. Turning captures the band in concert collaborating with the filmmaker Charles Atlas (The Legend of Legh Bowery), celebrating 13 women taking the stage who, like Antony himself, are not easily categorized personas. Whether they are androgynous, transgender, covered in makeup or bare skinned, what is important is that all have stories to tell about the hard-won struggle to be themselves, expressed with the transcendent power of Antony’s music. The film takes the viewer into the world of Antony and the Johnsons as they tour their astonishing live concert/performance work, Turning. At its center are a series of intimate interviews with the women who performed this extraordinary show with Antony. Their stories combine with Antony’s mesmerizingly emotional songs to create a powerful journey of struggle and hope. There is an after-party for this film, open to the general public.